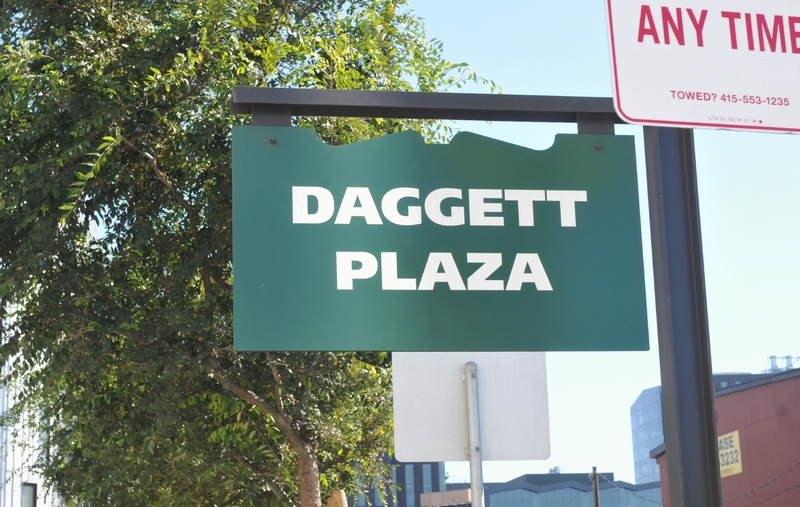 The sign read Daggett Plaza, but Google maps calls it Daggett Park. 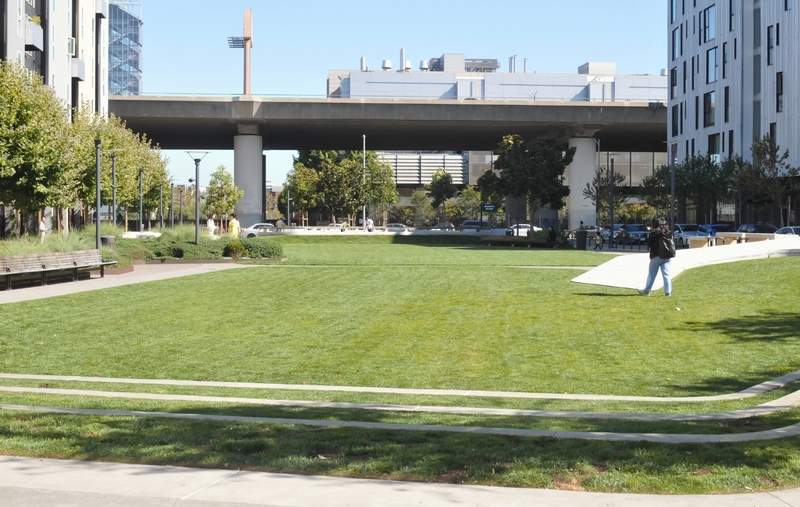 It is a grassy area so perhaps park is more appropriate. The sign was erected on the sidewalk next to a no parking sign. 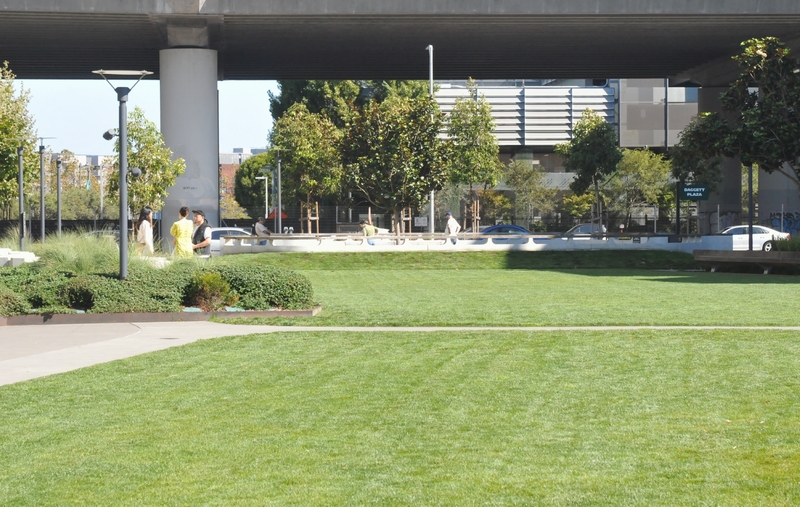 The park extended from 16th Street to 7th Street, just barely under the 280 elevated freeway. 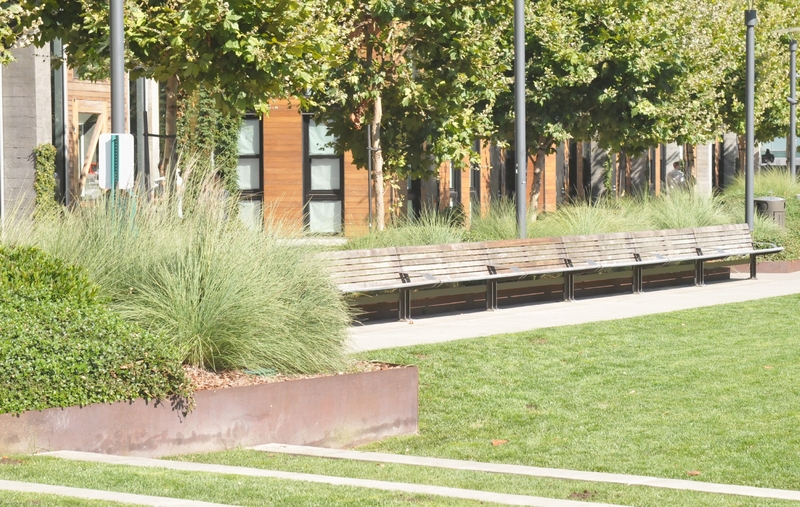 A line of benches surrounded by greenery provided a place to rest or dine during the work week, but was empty on the weekend. 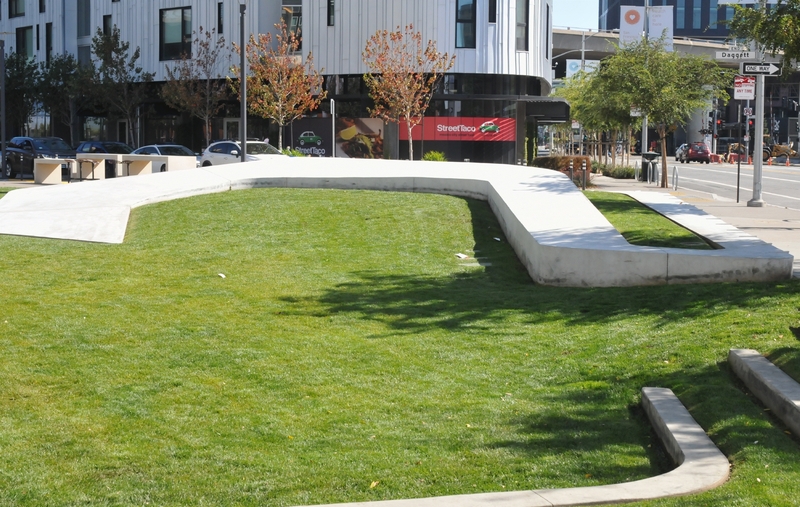 A curved concrete walkway led from the sidewalk into the park. The ramp was either extra seating or or provided disabled access. More benches were at the other end of the park. Those benches were shaded by trees.